To advance to an Elite Eight game is a grand accomplishment for any team. Playing against teams you have not played all year at neutral sites, more press and distractions. Taking all the new challenges in stride is something Florida State and Michigan have done. However, for No. 9-seeded Florida State Seminoles, this has been quite an exquisite journey. The Seminoles finished Atlantic Coast Conference play, mediocre at best with a record of 9-9, losing in their opening round conference tournament game. After the early exit, something clicked for them. They then went on to beat No. 8-seeded Missouri, top seeded Xavier and No.4 Gonzaga to get to the regional final. “It means a lot for us, because we've been working so hard all year. We always envisioned this and we always talked about it. Soto finally be here definitely means a lot,” FSU guard Terance Mann said. The Seminoles have gotten here by playing rugged and stout or as they would say “junkyard”. “Just really getting after it. Really, we say the saying of 94 feet, that's just picking the ball up early and playing hard to exhaustion. I think that's one of the key things of our junkyard defense,” FSU forward Phil Cofer said. The junkyard defensive mentality has held opponents to 61 points per game in the NCAA tournament. 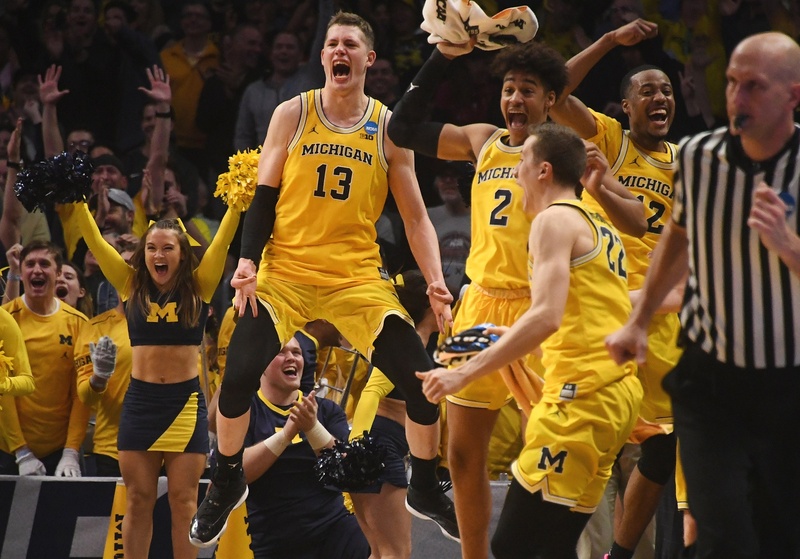 Scoring has not been an issue for Michigan as they racked up 99 points to advance last round. They space the floor well and use more than half of roster for long distance shooting going 45 percent from behind the arc in the tournament. The Seminoles and Wolverines both share respect for each other. “Tremendous amount of respect for them. I think Coach Beilein is a Hall of Fame-type of coach. He has one of the best offensive systems in the country” Florida State coach Leonard Hamilton said. “They're a great team from what we've seen. Obviously, they're in this position they are in now. They have to be a good team.” Abdur-Rahkman said about the Seminoles. Expect sophomore forward Moritz Wagner to have a good showing, he has been all year for the Wolverines. Scoring 14.4 and 4.4 rebounds per game. This creates a concern for the Seminoles. Michigan as well knows its opponent will cause them concern in tomorrow’s game. Both teams will come into Saturday’s game prepared and hungry to advance to the Final Four in San Antonio on April 2nd. The winner will advance and prepare for the winner of the No.9-seeded Kansas State vs eleventh-seeded Loyola Chicago matchup.